On Thursday, May 3 at 5pm on KMUD, The SHARC Report will present an interview with Zach Adams of the Dekalb, Ill based circuit bending band, CMKT4. In the interview, Adams talks about circuit bending, the DIY electronics workshops they teach, and his band’s upcoming West Coast tour, which will bring them to the Garberville Veterans Hall on Monday May 21st, and to the Ink People’s Annex in Arcata on Tuesday May 22. Circuit bending, or hardware hacking, involves rewiring electronic circuits to exploit their untapped potential. 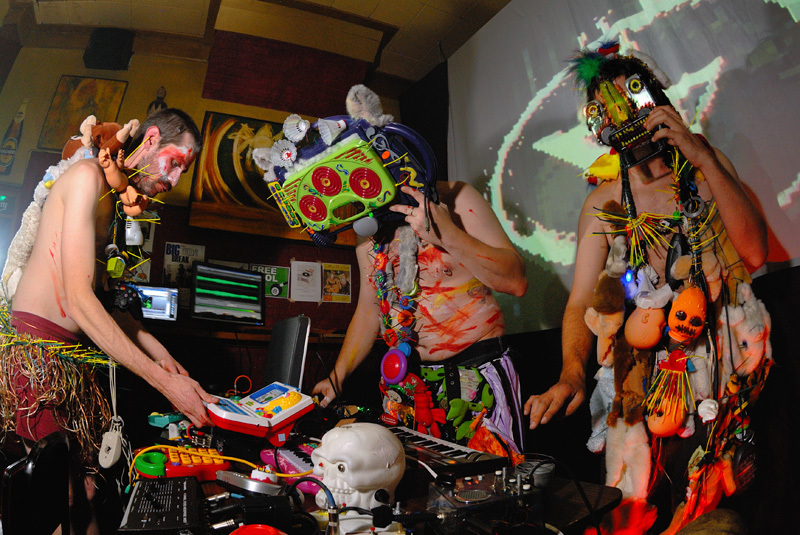 CMKT4 uses a number of circuit-bent instruments in their music, ranging from rewired sound modules from talking stuffed animals, to educational electronic toys, to modified synthesizers and fuzz boxes, to make their music. Besides playing circuit-bent music, the band makes and markets electronic kits for circuit-benders and musicians who want to build their own equipment. They also host workshops to teach the skills and inspire the imagination to do it. CMKT4 will lead hands-on circuit bending and electronic kit building workshops at both the upcoming Garberville and Arcata events. The Southern Humboldt Amateur Radio Club, or SHARC presents this radio interview, and upcoming Garberville CMKT4 event to encourage people to have fun with electronics, safely. SHARC offers a Technician-Class Ham license prep course that covers basic electronics, and Hams are a great resource for anyone who likes to play with soldering pencils and circuit boards. Call Jack Foster at 923 3700 for more info about the Technician-Class license prep class or about the upcoming CMKT4 event.